Researchers from the UCLA School of Dentistry and the David Geffen School of Medicine at UCLA have been awarded $5 million over five years from the National Cancer Institute to develop liquid biopsy tools for testing individuals who could have lung cancer — the leading cause of cancer death in both U.S. men and women. The award, one of only six given in the nation, will support further development of the tools to improve methods for early detection of lung cancer. 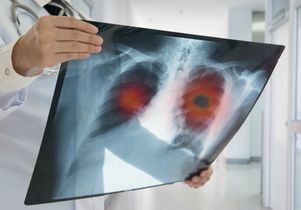 Today’s standard of care in diagnosing lung cancer involves a low-dose computed tomography scan of the lungs, evaluating whether there are what are called “indeterminate lung nodules” and following these nodules over time to assess whether they begin to look suspicious for lung cancer. The challenge of evaluating indeterminate lung nodules is differentiating between individuals with a low likelihood of lung cancer who may benefit from future scans and individuals harboring lung cancer, who may require lifesaving invasive procedures. With a five-year lung cancer survival rate of only 18 percent, early detection is critical for those individuals at risk. There is a broad, unmet need for a noninvasive, inexpensive test to detect lung lesions that can be used in tandem with the low-dose tomography, which can reliably differentiate between indeterminate pulmonary nodules that are cancerous or benign. The study aims to enroll at least 300 at-risk patients to test their blood and saliva using the UCLA-developed technology known as electric field-induced release and measurement, or EFIRM, liquid biopsy. 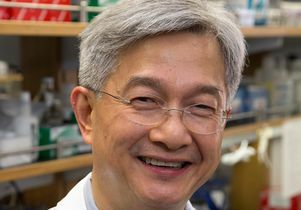 The technology, which was created in the lab of Dr. David Wong, principal investigator and professor of oral biology and medicine at the UCLA School of Dentistry, takes a biological liquid sample and detects the presence of tumor mutations. Wong, who is also the dental school’s associate dean for research, and his team were able to show that the technology can detect early-stage lung cancer with greater than 90 percent similarity with traditional tissue biopsies. 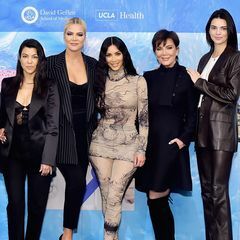 Under Aberle’s guidance, blood and saliva samples will be obtained from at-risk patients being seen at the Ronald Reagan UCLA Medical Center and other UCLA Health clinics to be tested at Wong’s lab. 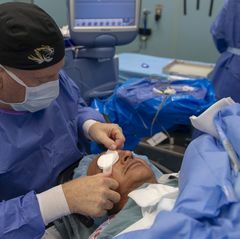 Within a day, using the UCLA-developed technology, a diagnosis will be made as to whether the patient should undergo a biopsy. These results will be combined with those of detailed, quantitative image analyses to develop predictors of lung cancer in patients with indeterminate lung nodules. Wei Liao, co-inventor of the technology, created EZLife Bio Inc., a biotechnology company that developed the EFIRM Reader and Plates. 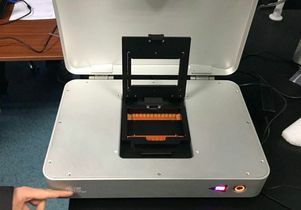 These prototypes and accessories enable the academic industry partnership, a requirement of the National Cancer Institute award, to translate and improve the technology for use in clinical settings. Fang Wei, adjunct associate professor at the UCLA School of Dentistry, will join the study team as an academic investigator. 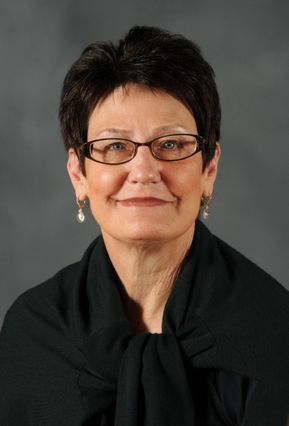 She is a co-inventor of the EFIRM technology. By tapping into the promising field of liquid biopsy and its integration with imaging, the team of researchers and clinicians would be able to place patients into specific categories, thus reducing unnecessary procedures and screening for some while identifying others who need immediate care. Liquid biopsy also provides an alternative method of testing for individuals who cannot undergo surgery because of potential complications from other conditions or other circumstances. 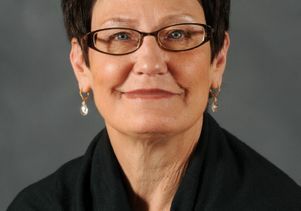 Aberle, Dubinett and Wong are all members of the UCLA Jonsson Comprehensive Cancer Center. Dubinett is the director of the UCLA Lung Cancer Research Program, and his associate, Kostantyne Krysan, will join the research team. Wong is co-founder of RNAmeTRIX Inc., a molecular diagnostic company. He holds equity in RNAmeTRIX Inc. and EZLife Bio USA, and serves as the company’s director and scientific advisor. The University of California also holds equity in RNAmeTRIX. Intellectual property that Wong invented and which was patented by the University of California has been licensed to RNAmeTRIX. Wong is consultant to GlaxoSmithKline, PeriRx, Wrigley and Colgate-Palmolive. 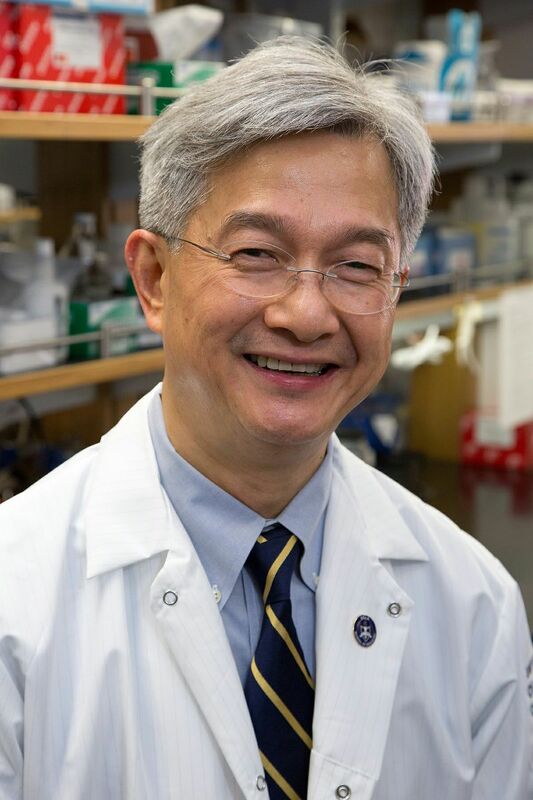 Dr. David Wong is a professor of oral biology and associate dean for research at the UCLA School of Dentistry.